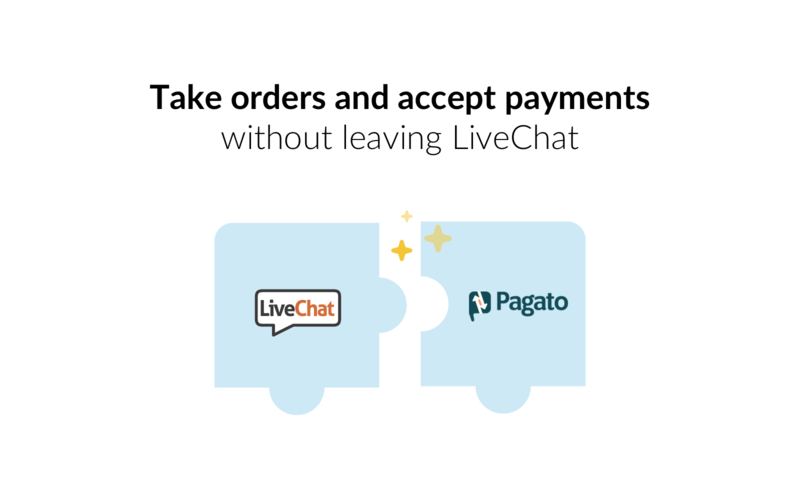 Selling with LiveChat and Pagato is simple. 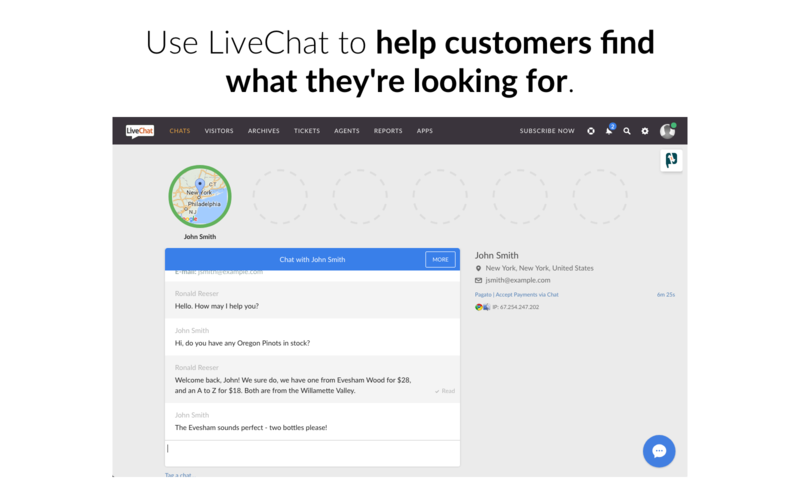 Chat with customers and help them find what they're looking for. 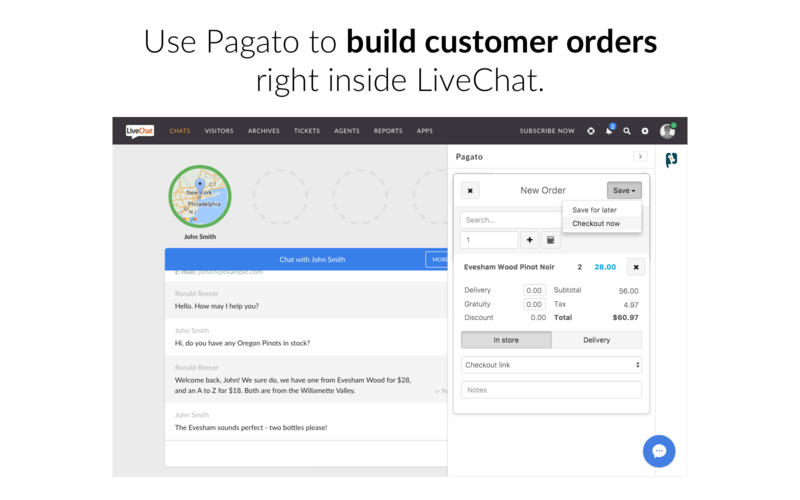 Use Pagato to take customer orders right inside the chat window. At checkout, just send the customer a link to their bill! By following the link, the customer can review their order and securely submit payment. Pagato is an online solution that lets you take orders and accept payment via chat, Instagram and SMS. It supports popular payment gateways (Stripe, Braintree, QuickBooks). It helps you provide a seamless checkout experience, get shareable links for sales and store payment methods for future transactions. 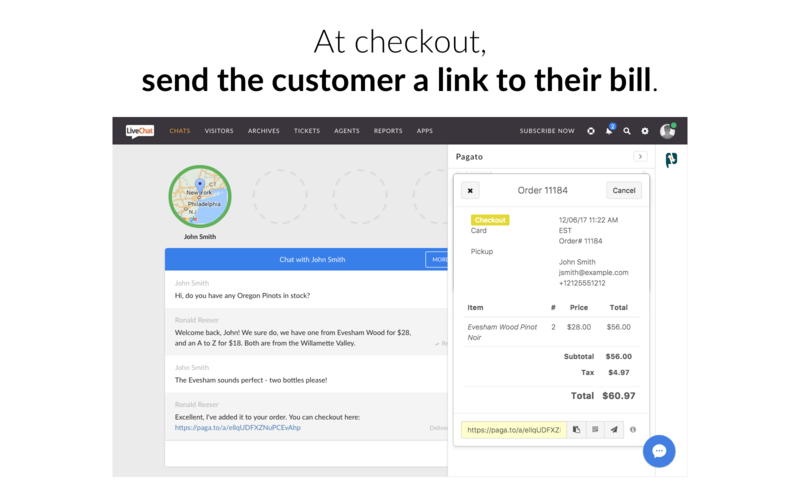 Build orders and process payments on-the-fly while chatting with customers. Securely store customer payment methods on file for future charges. In addition to that, view customer contact info, payment methods, and order history. All of that straight during a chat! 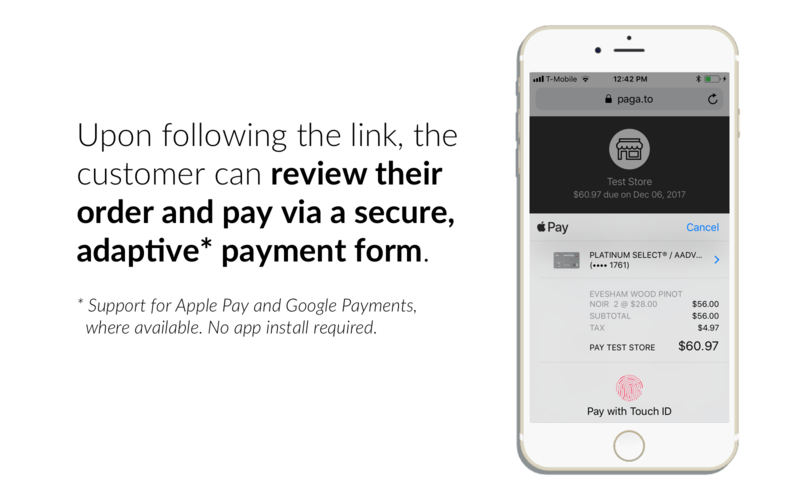 Support for Apple Pay, Google Payments, QR-code payments, and more! In addition to that, Pagato works with your Stripe, Braintree, or QuickBooks Payments payment gateway. Drive sales by providing a guided purchase experience. Up-sell, cross-sell, you name it! Transform support chat (a cost center) into sales chat (a profit center). Keep your customers' history in one place! Simplify repeat business by keeping customer payment methods on file so that both you and your customers can check their previous payment anytime they want! Make your website visitors feel like in a real store! Provide a level of service similar to the attention the customer might get from a sales associate in a store. Start using LiveChat with Pagato now!